Polish your dancing shoes, get on your best Blues Brothers outfit for the return of BRIEFCASE FULL OF BLUES! The Blues Brothers were founded in 1978. John Belushi and Dan Akroyd fronted the band, respectively in character as lead vocalist “Joliet” Jake Blues and harmonica player/vocalist Elwood Blues. The fixation in Melbourne with The Blues Brothers lead to a Friday night institution prompting hundreds of Blues Brothers fans and scores of impersonators to pile into the now defunct Valhalla theatre even Friday Night. 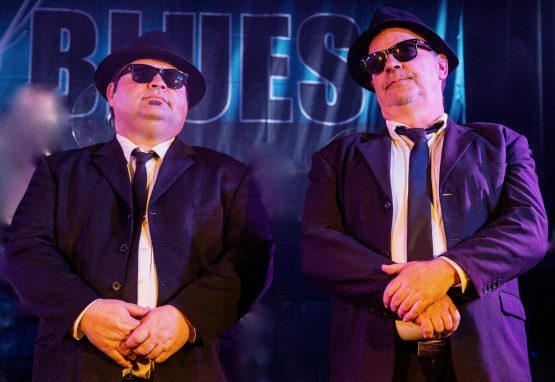 Briefcase Full of Blues make their triumphant return to MEMO Music Hall this March as part of the St Kilda Blues Festival Weekend celebrations for a night full of all the best Blues Brothers hits!